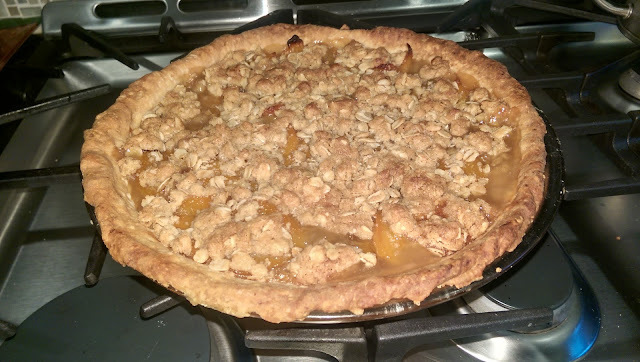 I've been baking pies since I was a little kid and peach has always been my favorite. This time I decided to try a crumble topping, instead of a lattice of dough strips, made with light-brown sugar, flour, oats and butter. Another change was using a large jar of Dorothy Lane Market peaches instead of a small can of peach filling, which reduced the sweetness of the filling to match the topping and completely filled the 9 inch pie plate. Days of yummy delight!